· Window valance made to order with "Rustic Retreat" WAVERLY drapery fabric shown above. Lined with drapery lining. 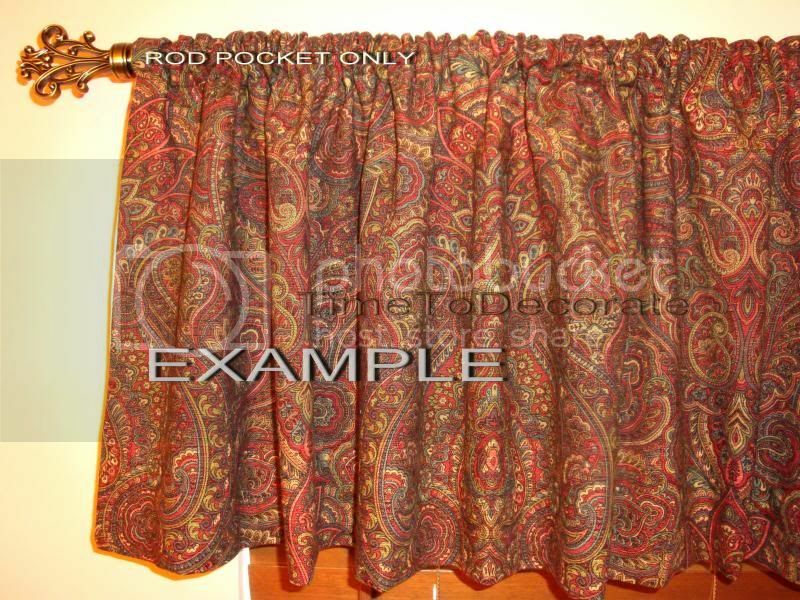 · Valance is approximately 50" wide x 15" long (top to bottom), rod pocket is approximately 2" wide with 1 1/2" header. Wider rod pocket or no header/ruffle are optional at NO additional cost. Choose prefered options while ordering. 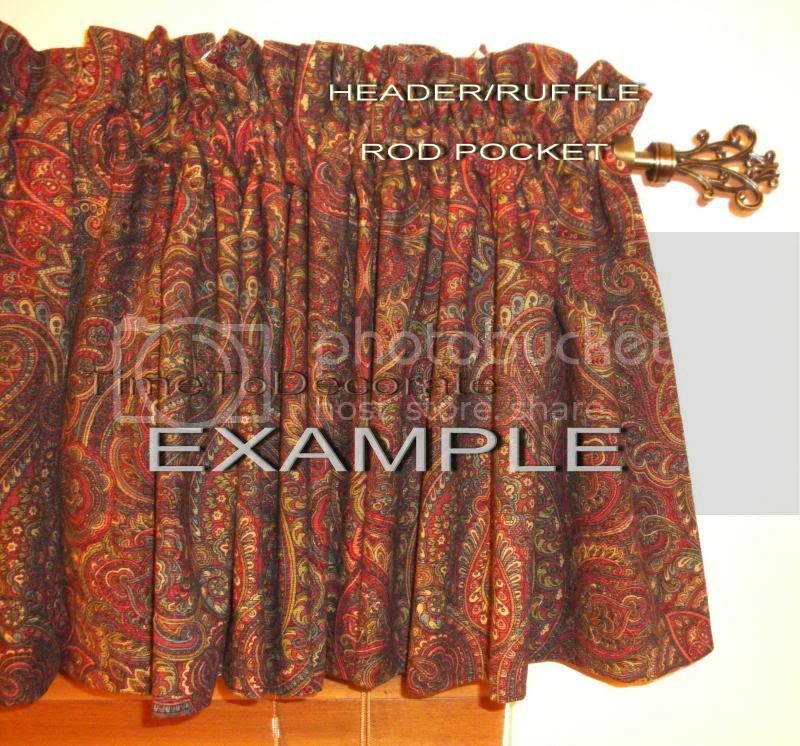 See examples with or without header/ruffle valances below. · Smaller and/or shorter valance is optional at NO additional cost. Add a note at Custom Specifics with exact measurements or if you’d like help, leave contact email address. · Please email for a quota IF longer and/or wider valance(s) available BEFORE ordering. Orders with longer/wider requests will not be honored unless approved before ordering. · For fuller/wavier look, it is recommended for window treatments to be 1 ½ - 2 times wider than window (rod width) itself. · PLEASE MEASURE YOUR WINDOW(S) before ordering. Contact us with ANY questions if uncertain. Below are examples in different fabric (that is not for sale in this listing) of the rod pocket with or with out header/ruffle.